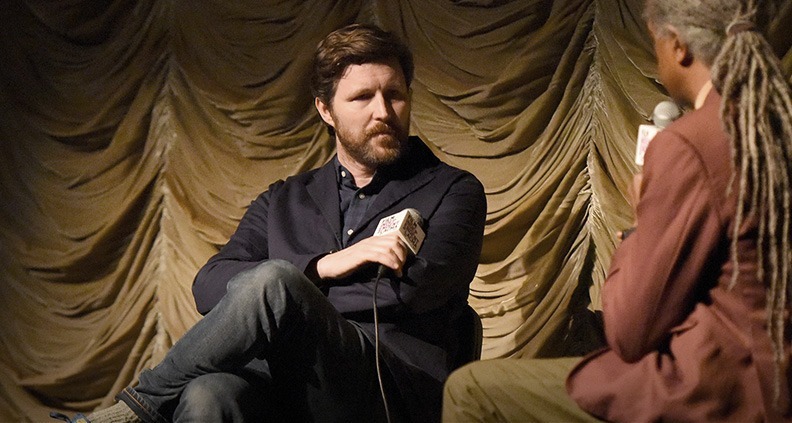 Filmmaker Andrew Haigh’s third feature Lean on Pete is about many things: isolation, survival, poverty and homeless youth. It’s certainly much more than just a story about a boy and a horse. 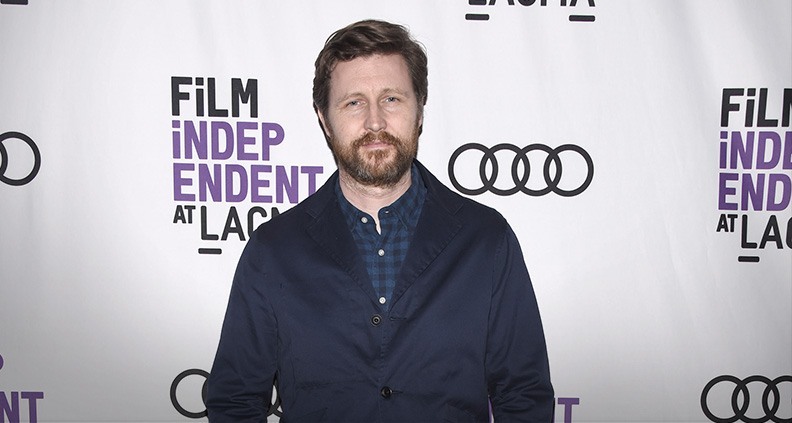 The film is Haigh’s first to be distributed by A24, the powerhouse distributor of critically acclaimed, modestly-budgeted films, whose Lady Bird, The Florida Project and The Disaster Artist all received nominations at this year’s recent Film Independent Spirit Awards. 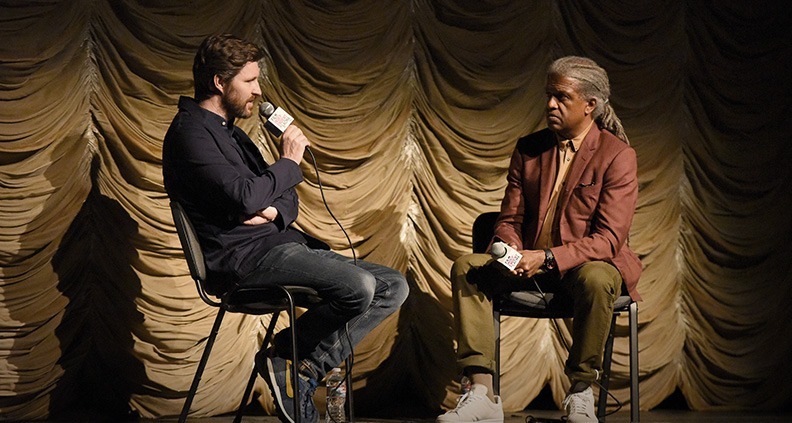 On March 8, Lean on Pete screened early for Film Independent Members at LACMA’s Bing Theater, followed by conversation between Haigh (Weekend, 45 Years, HBO’s Looking) and Film Independent at LACMA curator Elvis Mitchell. Based on a book by novelist Willy Vautin, the film will be released in theaters April 6. Lean on Pete is somewhat unconventional in structure, something Haigh said he’s fond of using. The main character Charley (18-year-old rising star Charlie Plummer) is a passive character, content to sit back and react to the supporting cast rather than drive much of the action himself. This works quite well, especially considering that newcomer Plummer is surrounded by veteran character actors Steve Buscemi, Chloë Sevigny and Steve Zahn. Plummer’s Charley is a 16-year-old living in Portland, who lacks stability in his family life in virtually every way possible. His father Ray (Travis Fimmel), a womanizer who struggles to put food on the table, moves him from city to city on a whim, spending little time with him. Ray loves his son and has the best of intentions, but lacks the tools to properly support him or even keep him safe. During the Q&A, Haigh highlighted his desire to make every character he writes at least somewhat sympathetic, no matter how many terrible decisions they make and how inept they are—Ray being a prime example. At first glance, Charley appears understated and respectful, in stark contrast to his chauvinistic, crass father. But as the plot progresses, it becomes apparent that the two men are more similar than first appears. With much left to be desired at home, Charley becomes taken by Lean on Pete—an aging racehorse past his prime, owned by Steve Buscemi’s Del, who Charley begins working for, traveling to various races throughout Washington and Oregon. What seems to be a pattern of habitual mistakes eventually catches up to Charley’s father as he is murdered for adultery and Charley is left completely alone. In this desperate time, Charley’s only true peace is when he’s around his favorite horse. Haigh observed that the sequences between Charley and the horse are only times in the film when our ostensible main character speaks confidently, when he’s alone with Pete in the middle of nowhere. When Pete is in danger of being sold and slaughtered due to his diminishing value, Charley grabs his horse and does exactly what he’s learned to do by observing his father: he runs away. With Lean on Pete, Haigh strived to create a film that takes viewers on a journey without the promise of a clear climax or safety of a traditional three-act structure. There are moments that are certainly emotional, but Haigh avoids the easy layups of dramatizing some of the narrative’s more tragic turns, instead showcasing Charley’s amazing sense of resilience and ability to simply move on, even in the face of extreme adversity. The results are a more organic approach to storytelling. Beautifully shot by Danish cinematographer Magnus Nordenhof Jønck, Lean on Pete features establishing landscape shots of the Northwest in ways not typically associated with the region, with the lush greens of Twin Peaks replaced by a pastel color palette more commonly associated with the Southwest. Haigh instead signals the film’s setting in more subtle ways—including repeat shots showcasing cans of local Rainier and Olympia-brand beer conjuring strong associations for anyone familiar with the region. Lean on Pete is sure to captivate crowds thanks to incredible performances by its cast, beautiful cinematography and multidimensional characters, who are limited in terms of resources and luck, but who try their best nonetheless. What filmmaker can’t relate to that? And just in case you were worried, no horses were harmed in the making of the film—a fact confirmed by Haigh during the post-screening Q&A.